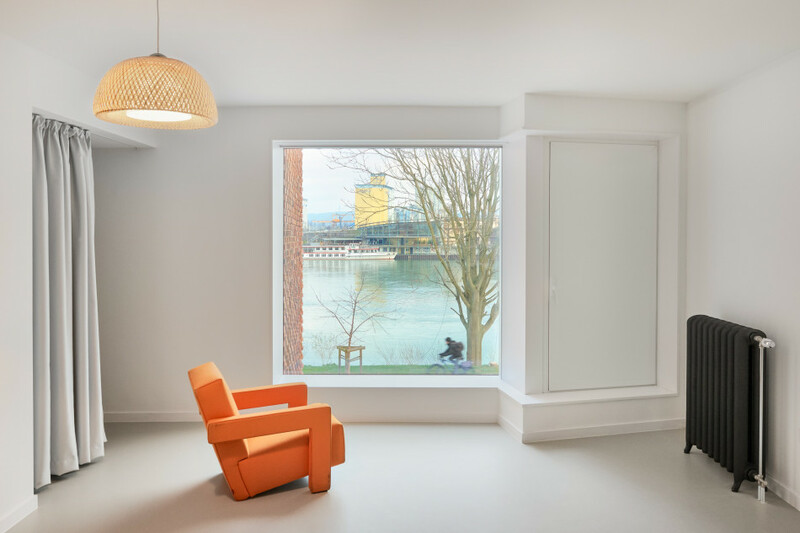 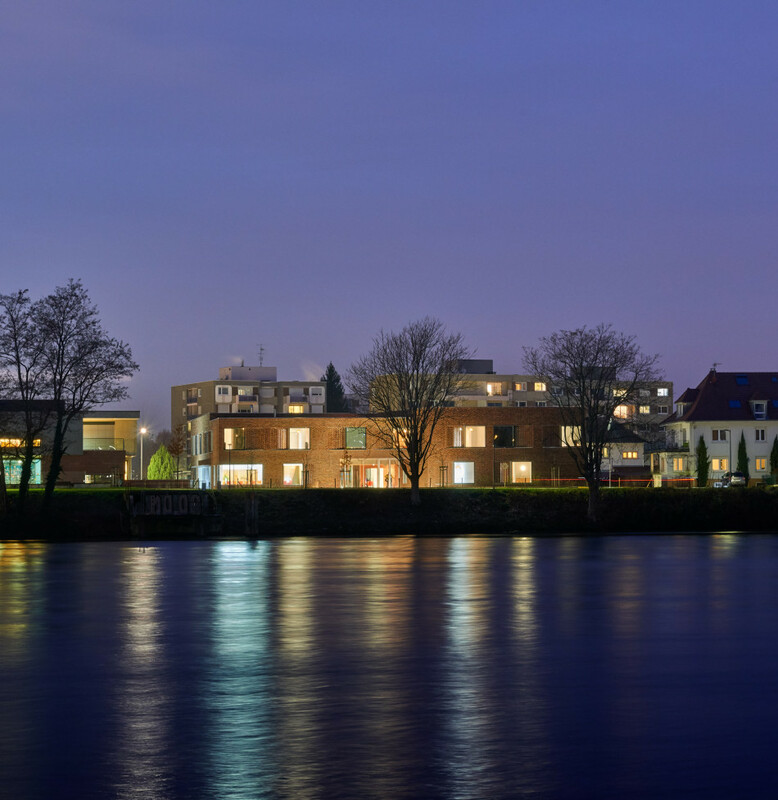 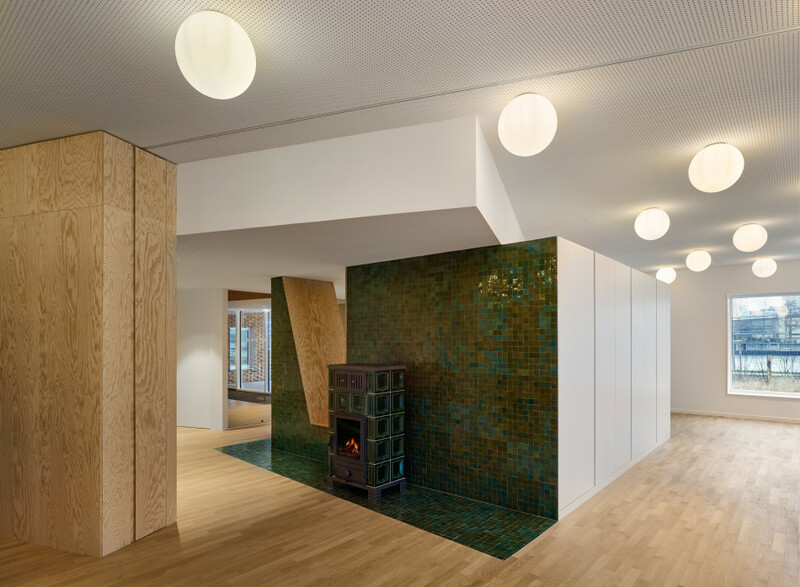 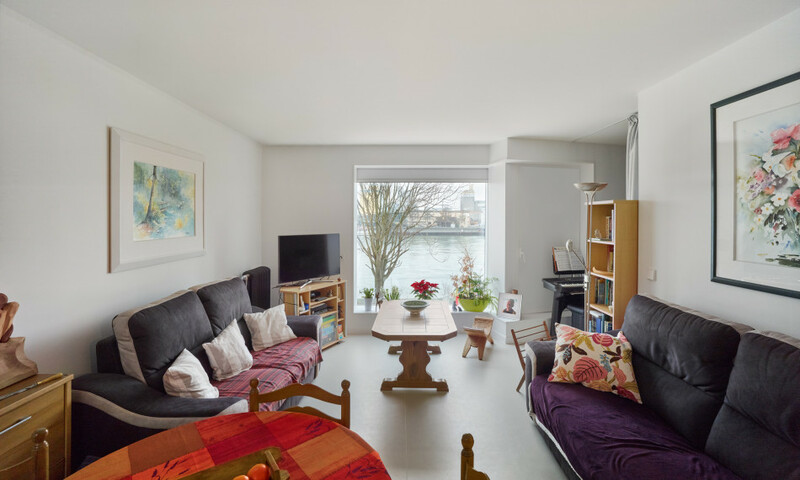 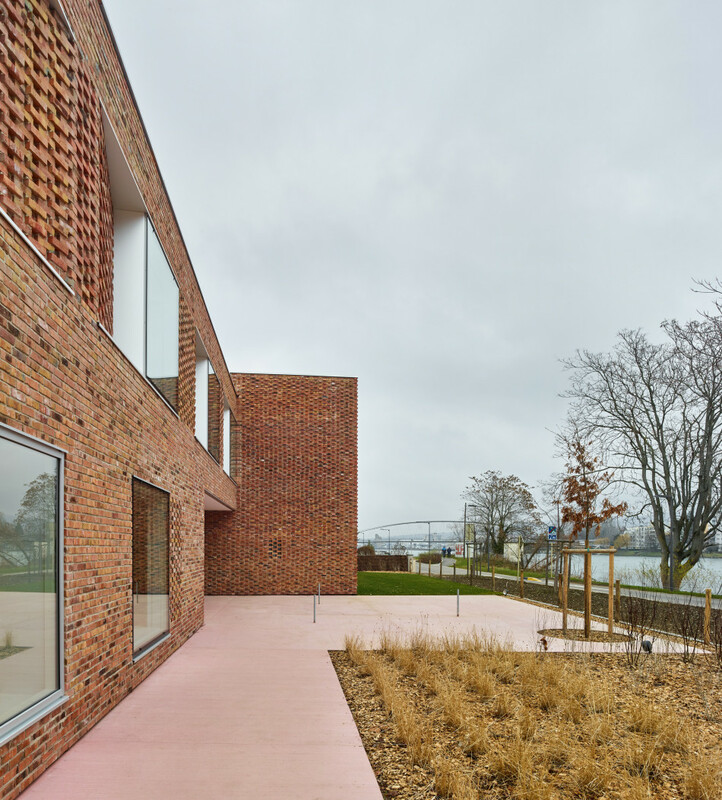 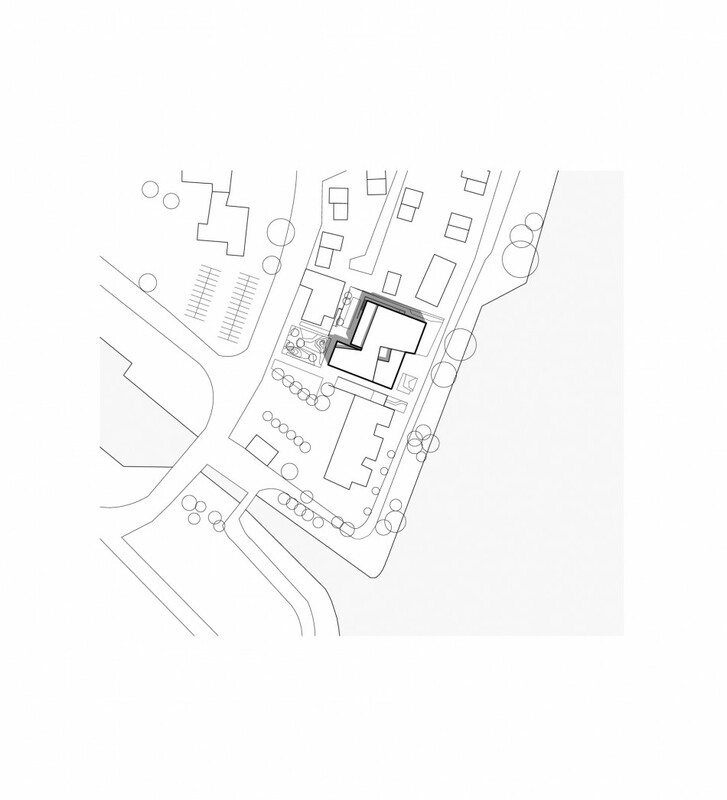 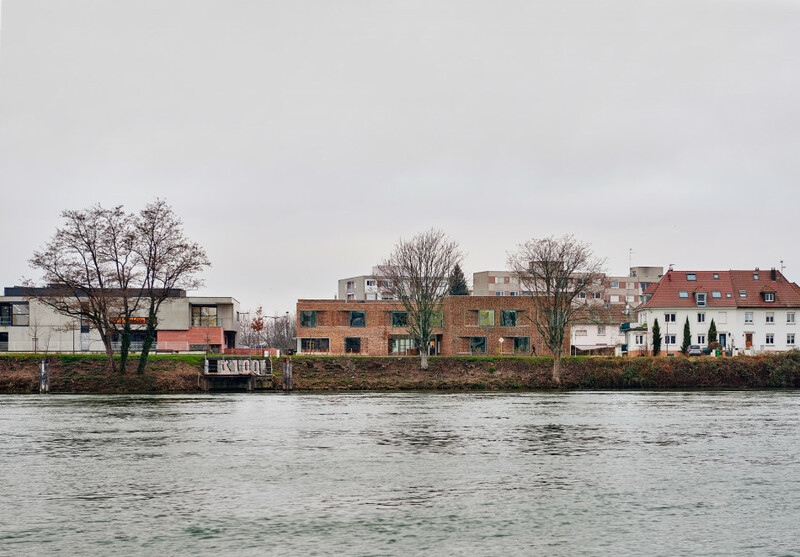 his housing for elderly people is located on the banks of the Rhine. 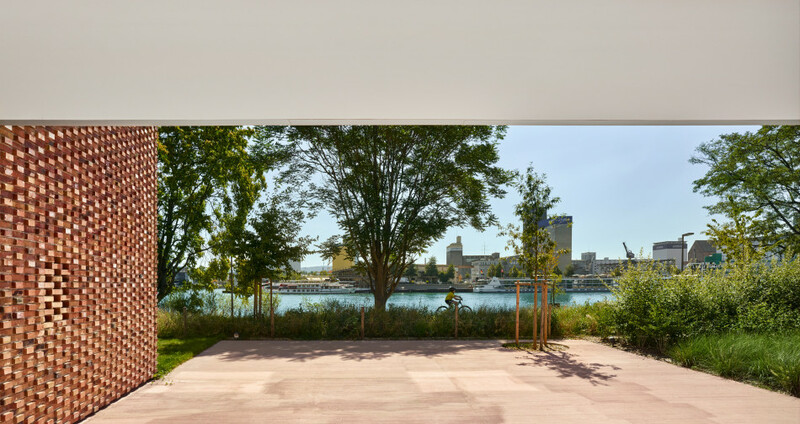 The exceptional situation of the site allowed us to turn the common areas and the hall towards the river: the residents can enjoy the choreography of passing boats. 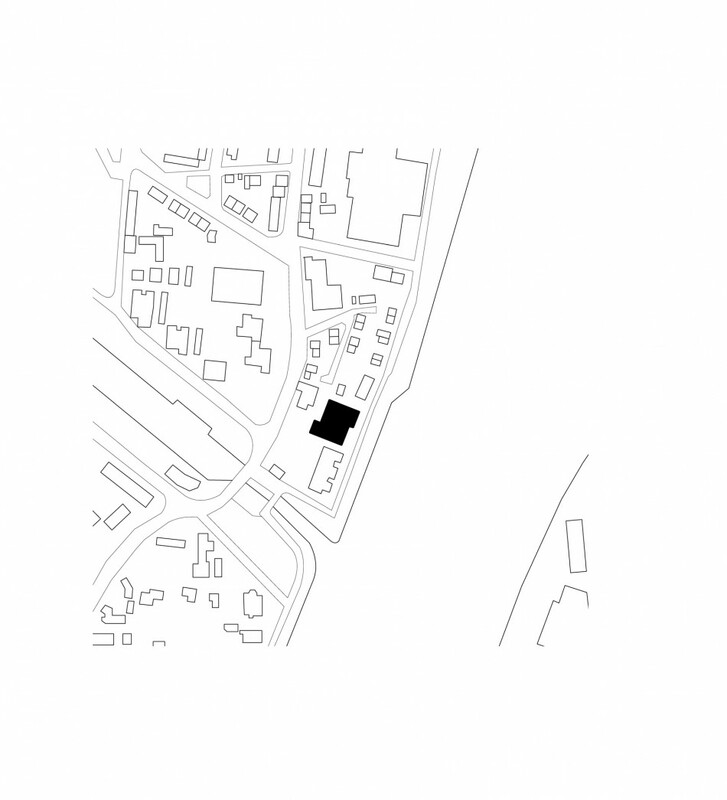 The programme consists of 50 sq.m. 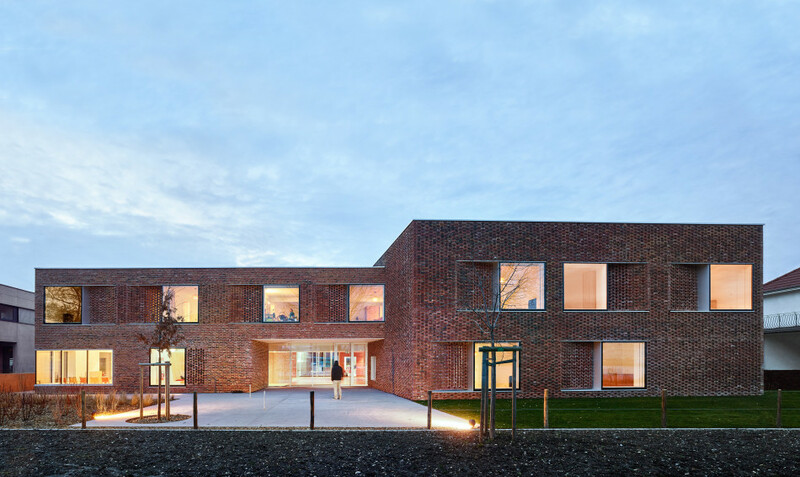 units, a restaurant in three sections, a computer room, a hobby workshop, a vegetable garden, and an area for playing pétanque. 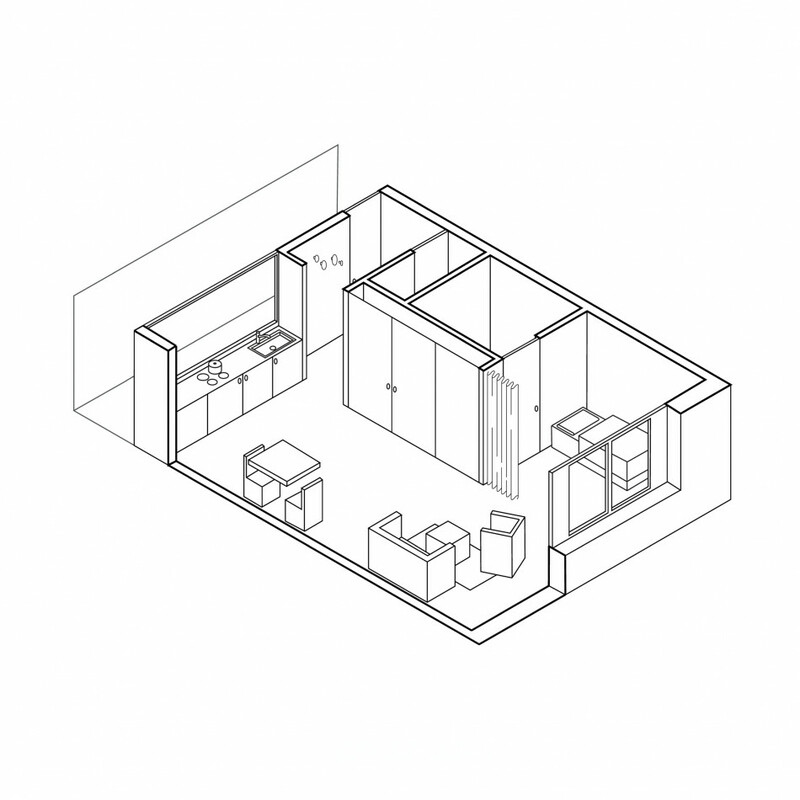 Everything is organised to foster relations among the residents. 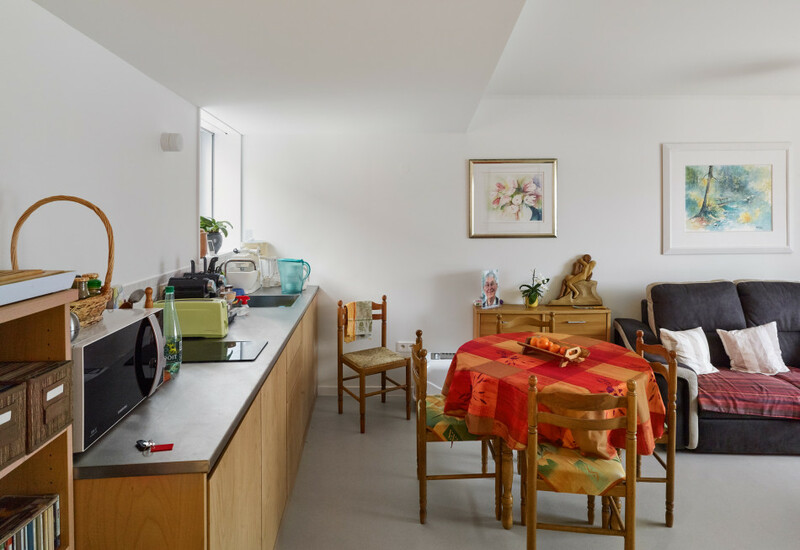 Collective living spaces are as generous as possible, with abundant natural light. 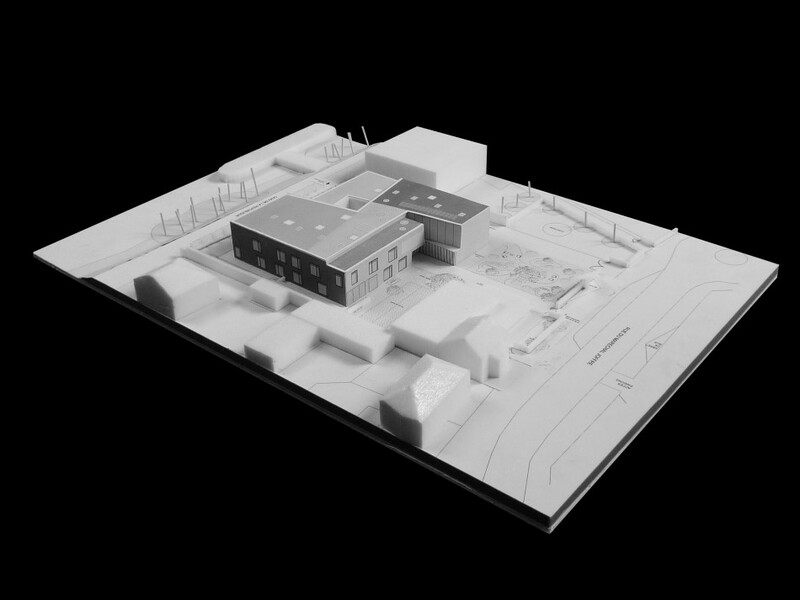 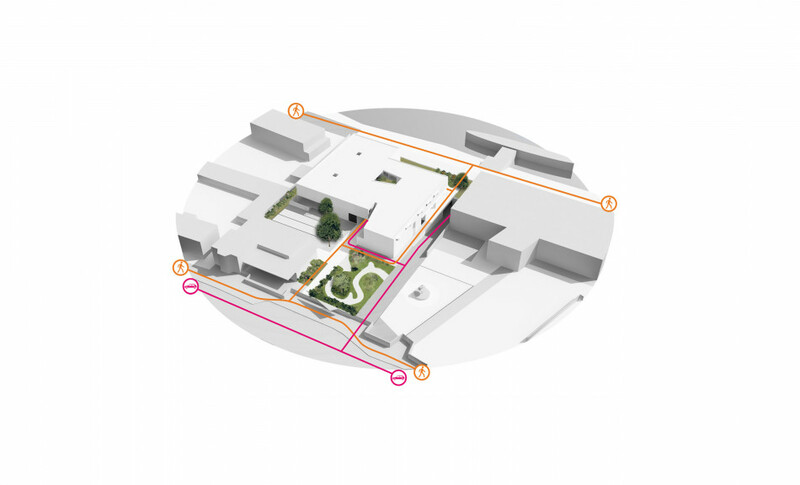 We have designed places that encourage exchanges and social interaction. 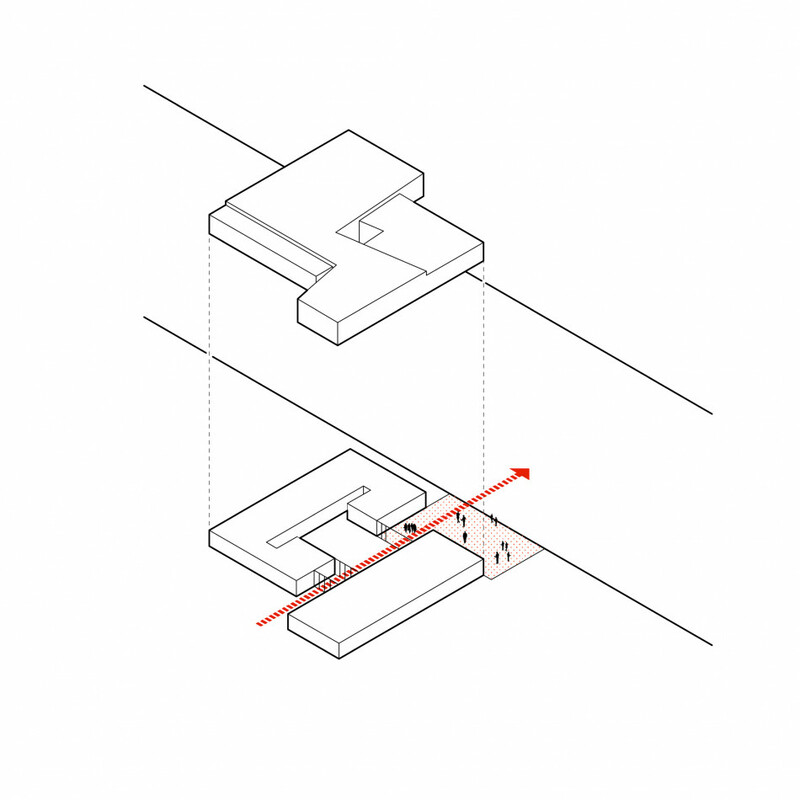 Encounter-inviting events and sequences punctuate the routes. 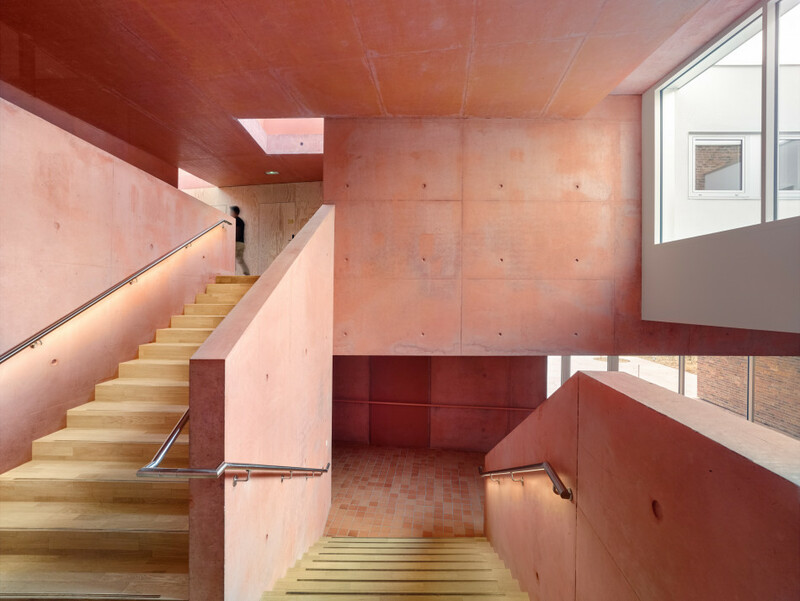 The staircase stands at the centre of the building, rendering it unavoidable. 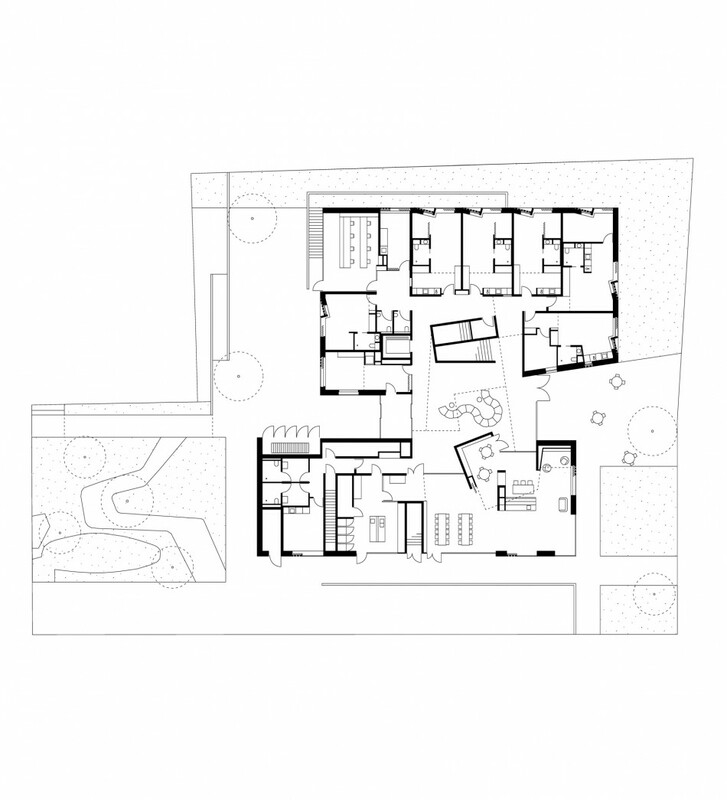 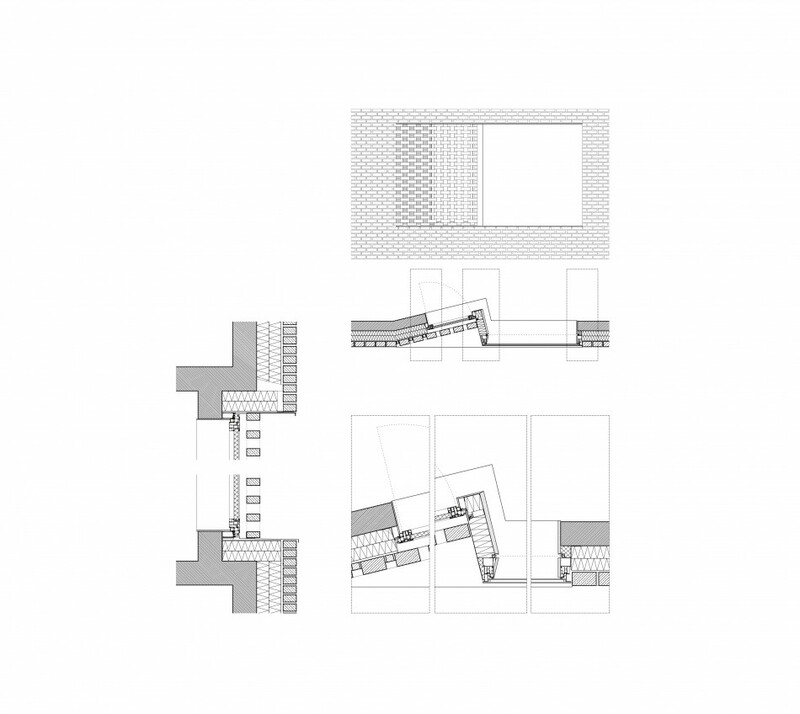 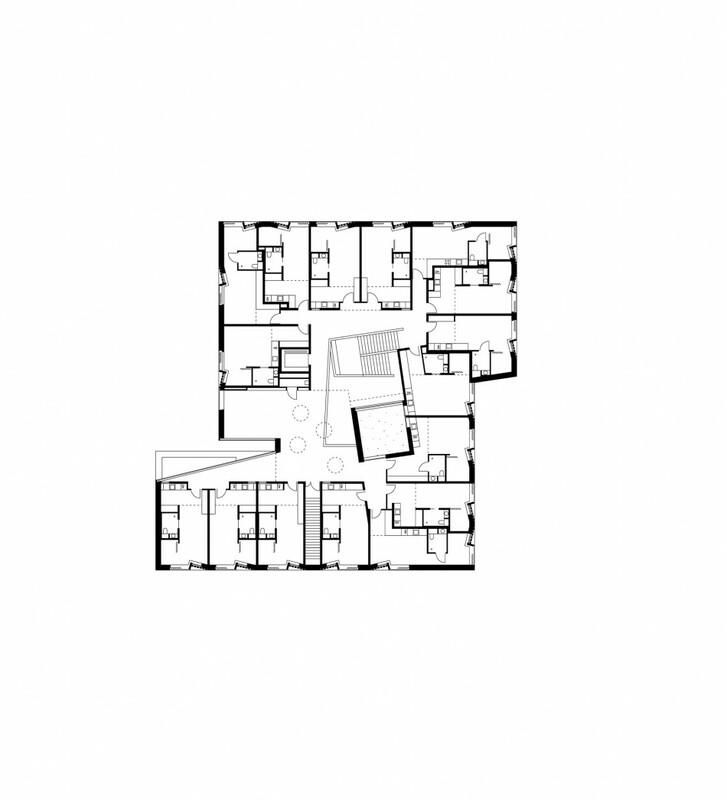 In combination with the wide central space, it invites mobility. 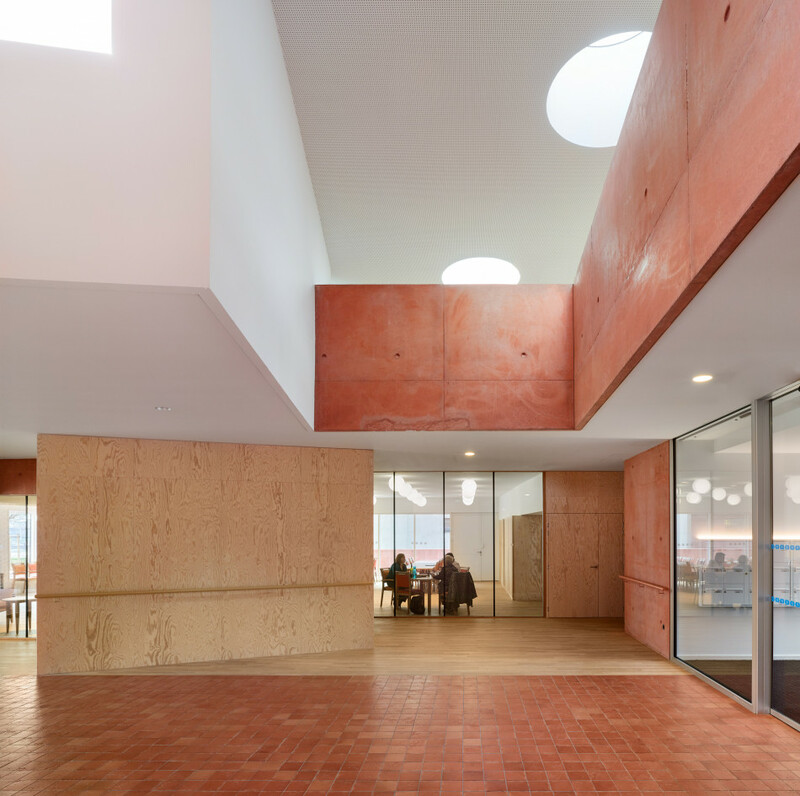 Upstairs, the patio brings light from the south into the heart of the building. 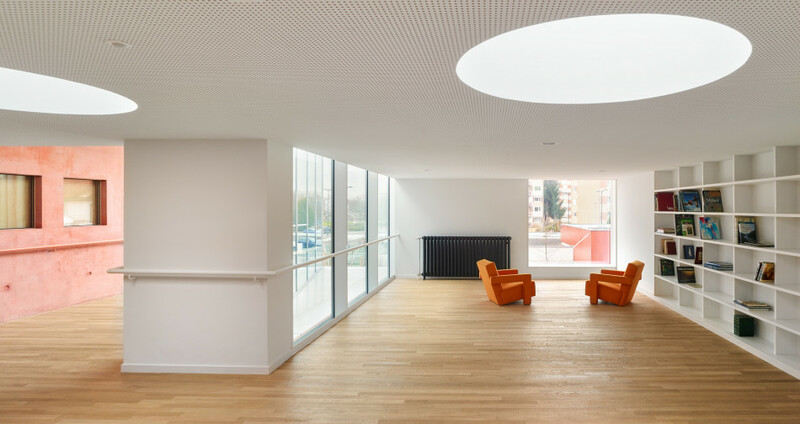 The white volume inside seems suspended; it deconstructs the empty space and lends a certain strangeness to the whole. 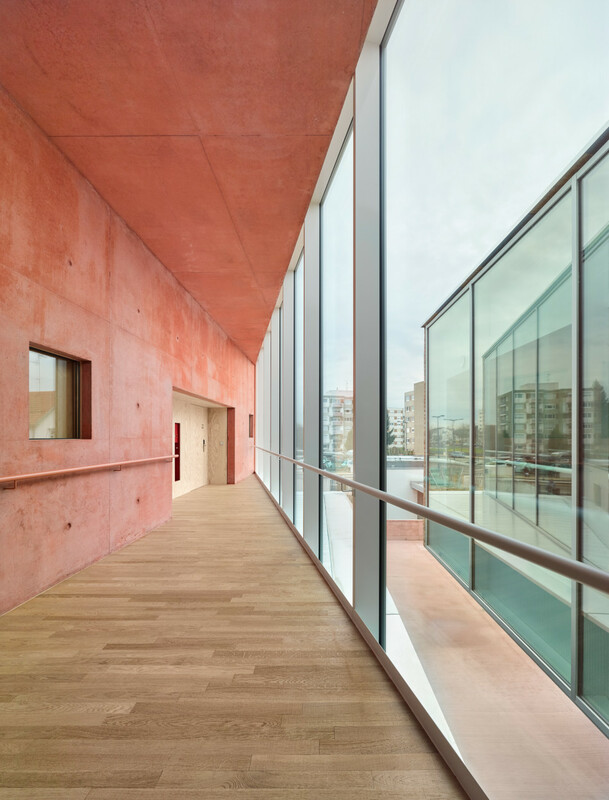 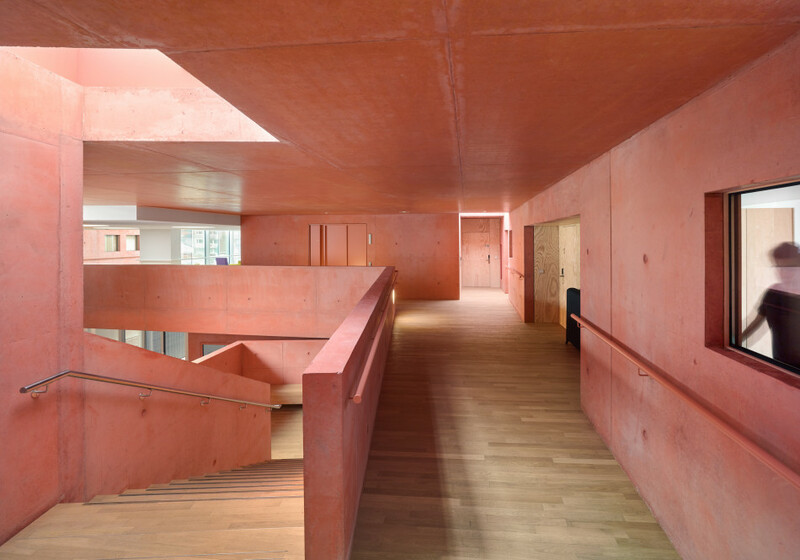 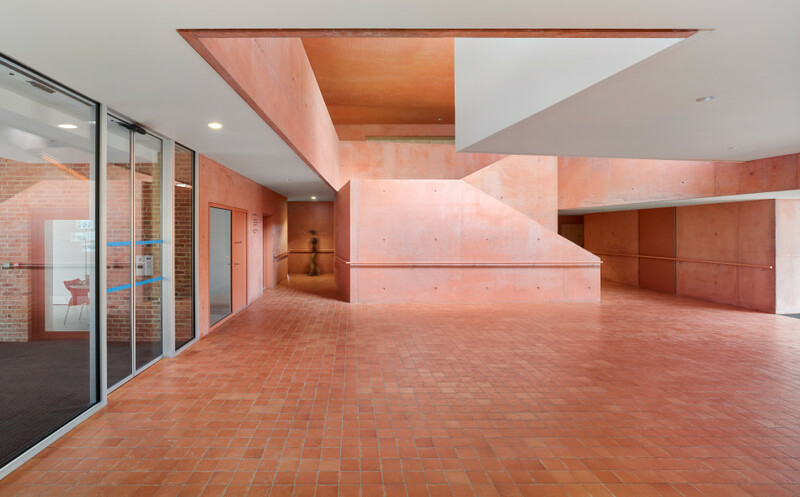 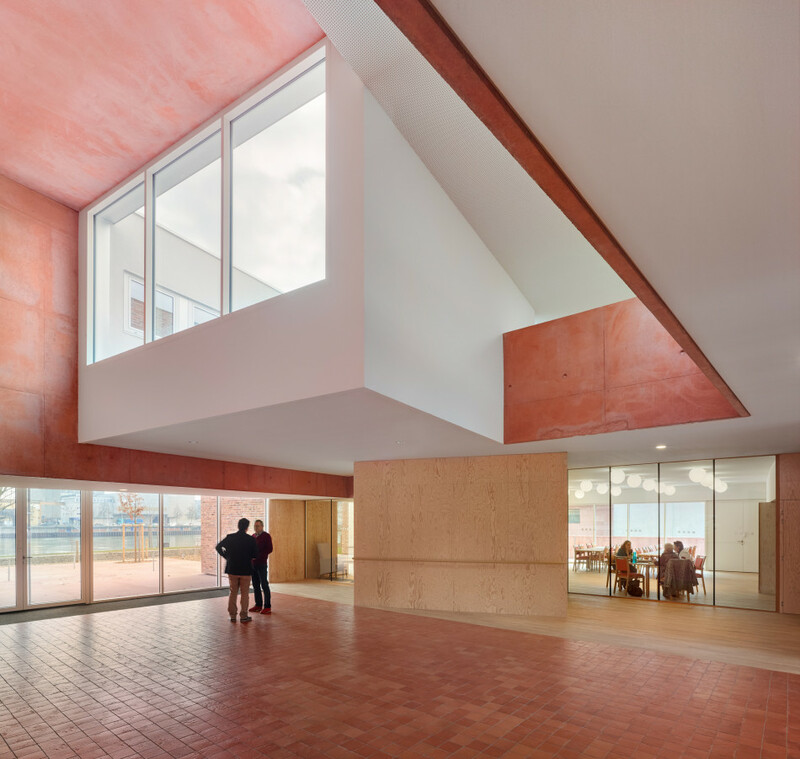 Red concrete, terracotta and wood produce a benevolent atmosphere. 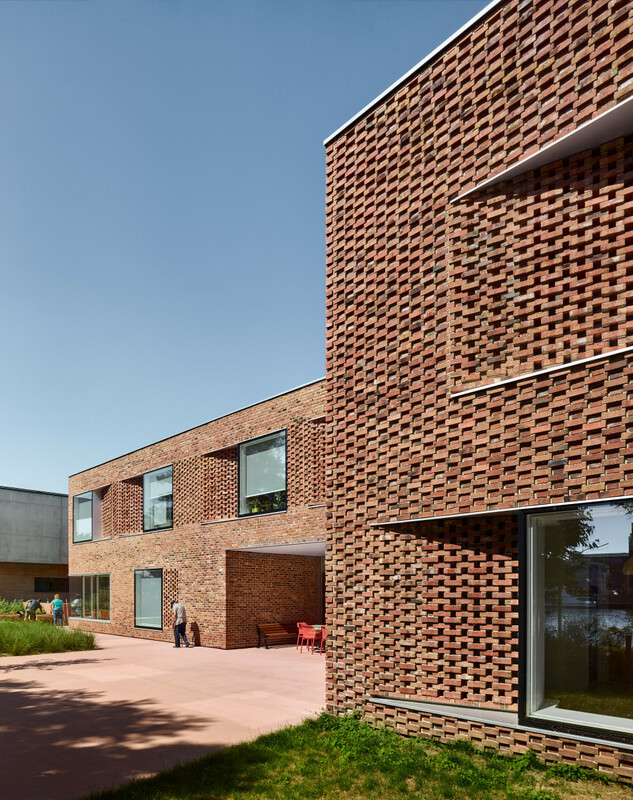 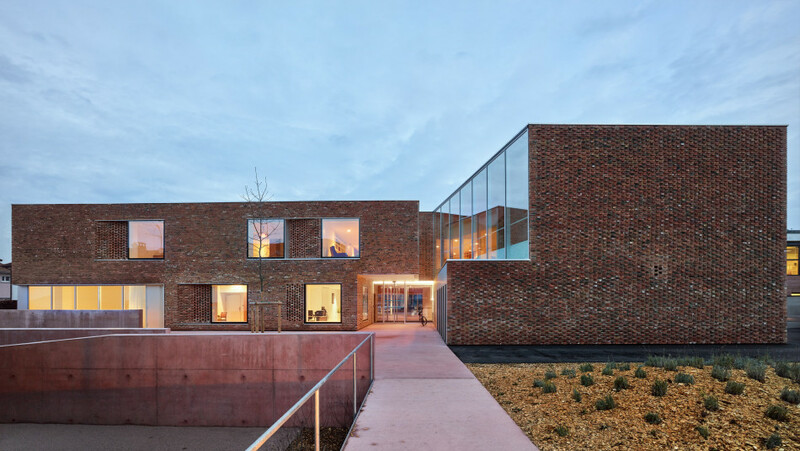 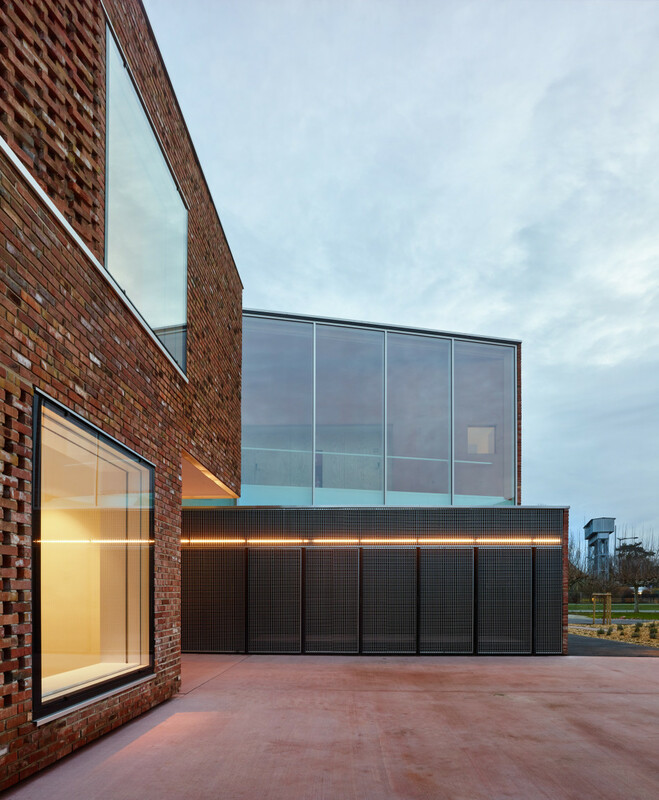 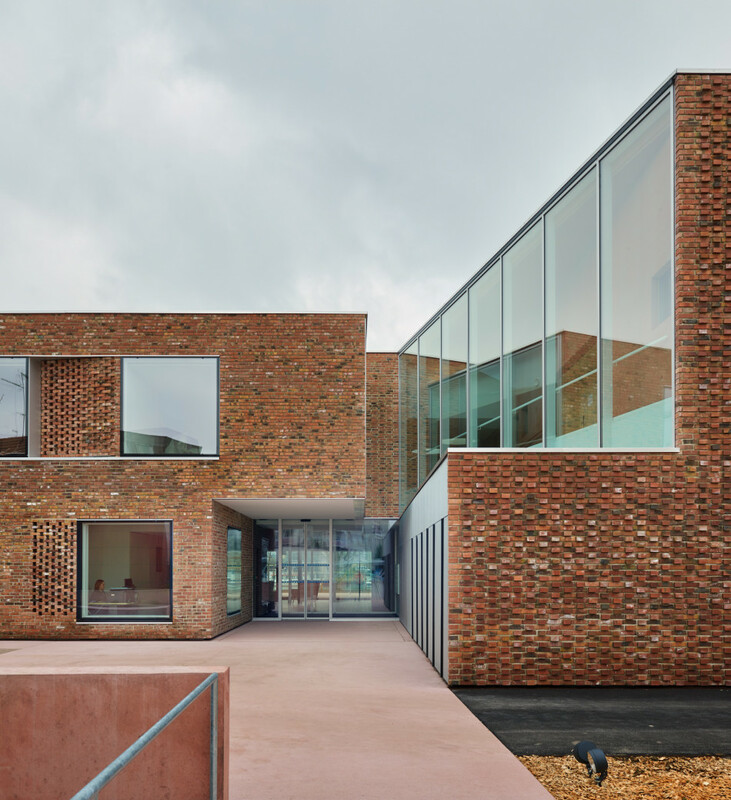 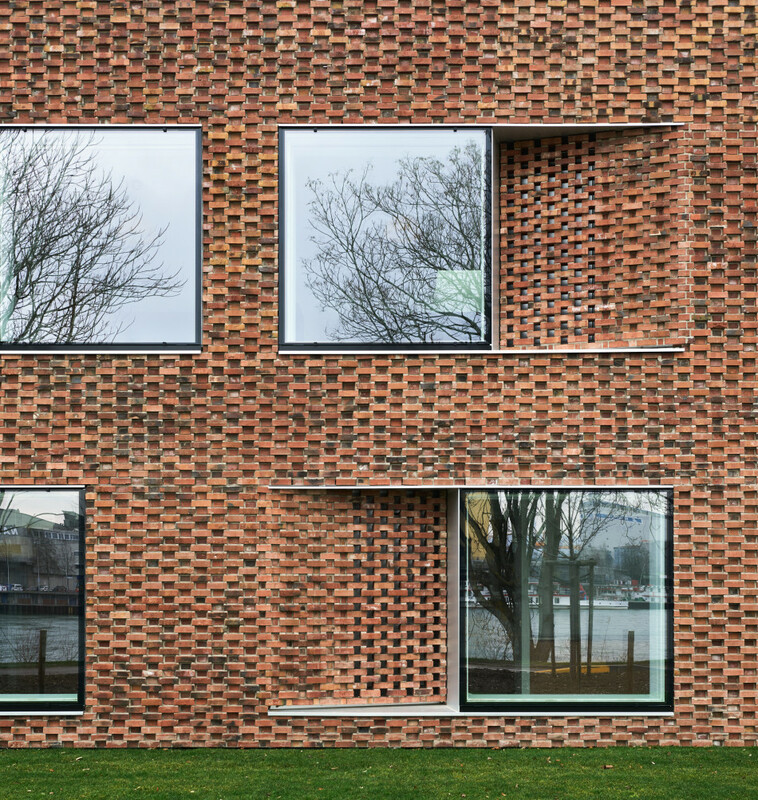 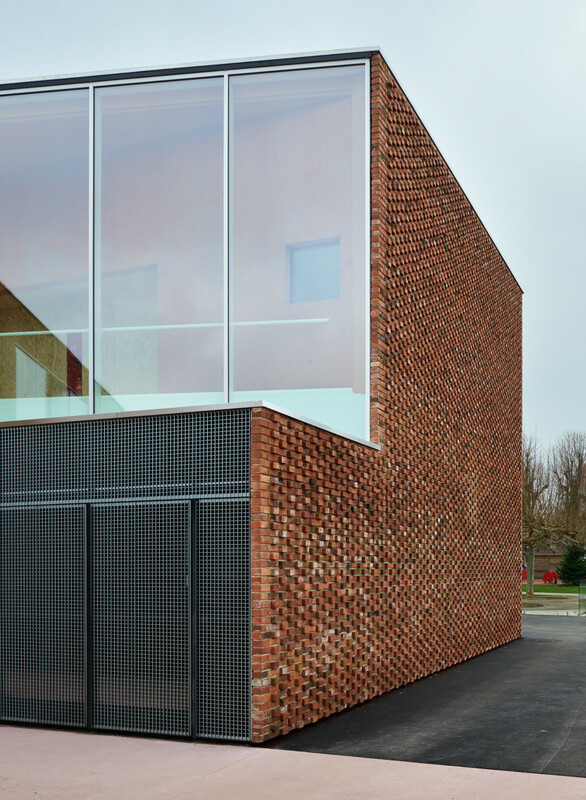 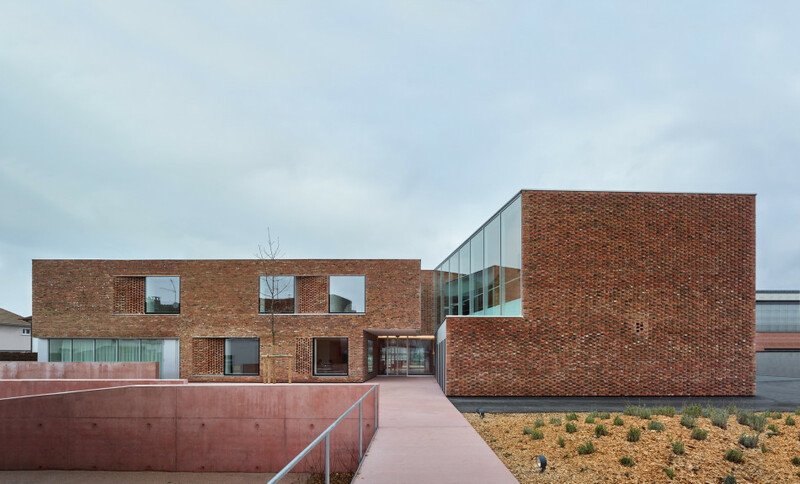 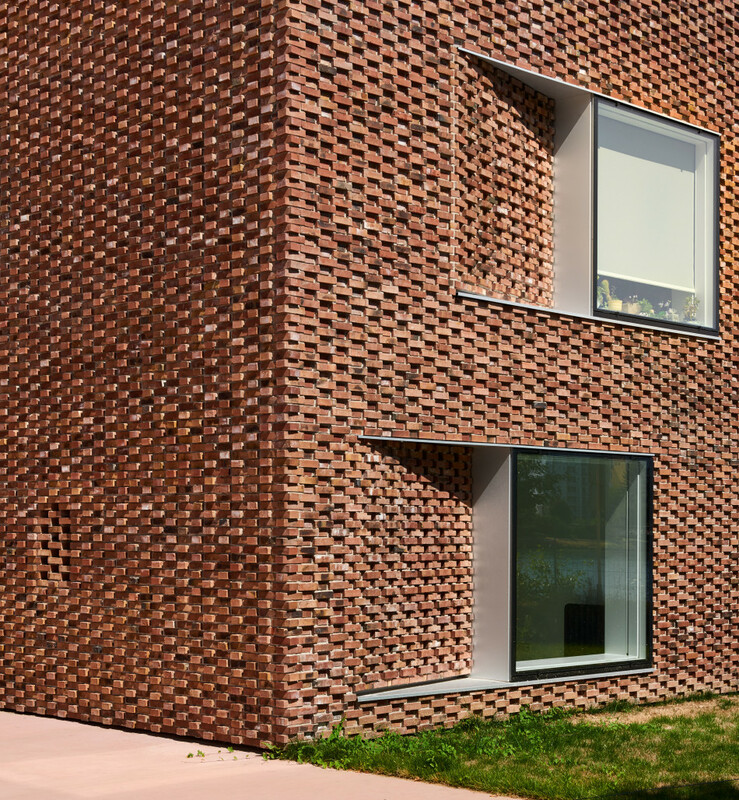 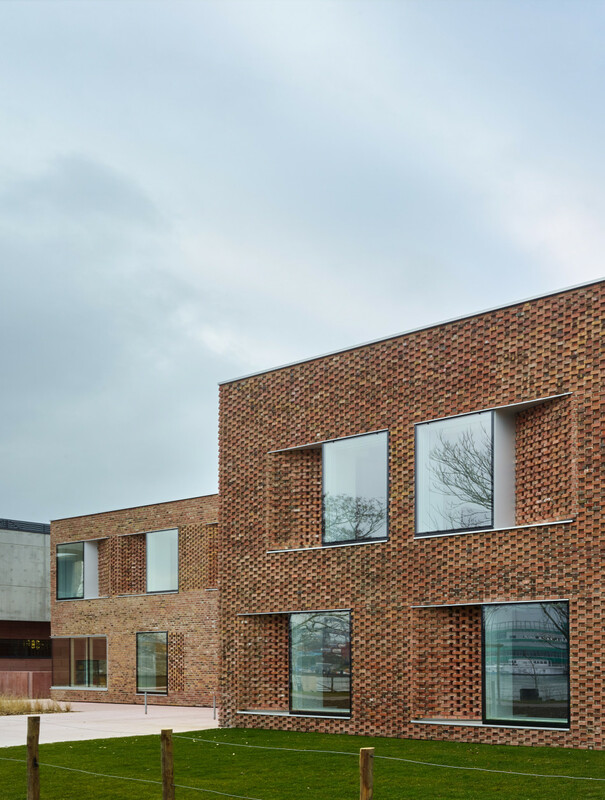 Outside, the building is enveloped in brick on all sides. 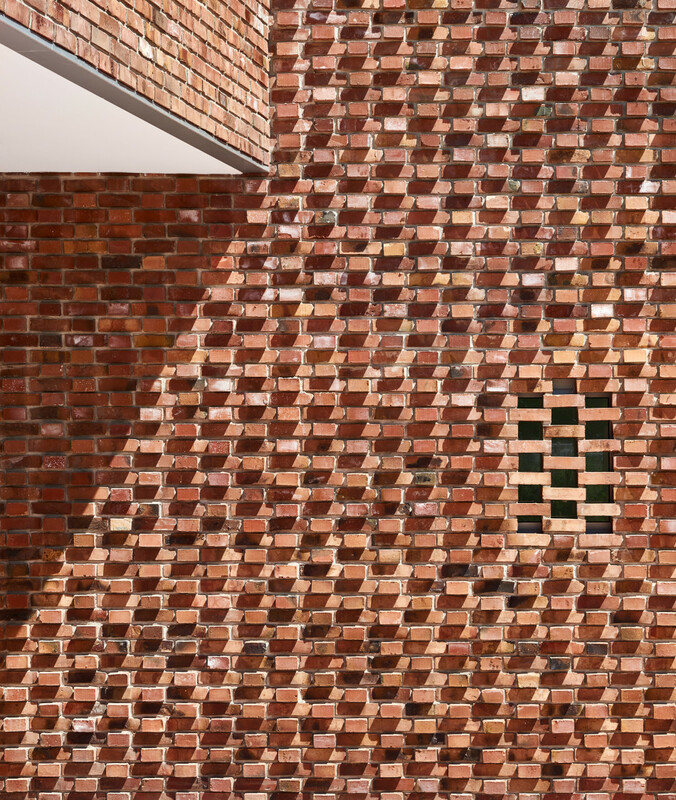 We selected a craft brick that is non-standard, irregular and occasionally misshapen. 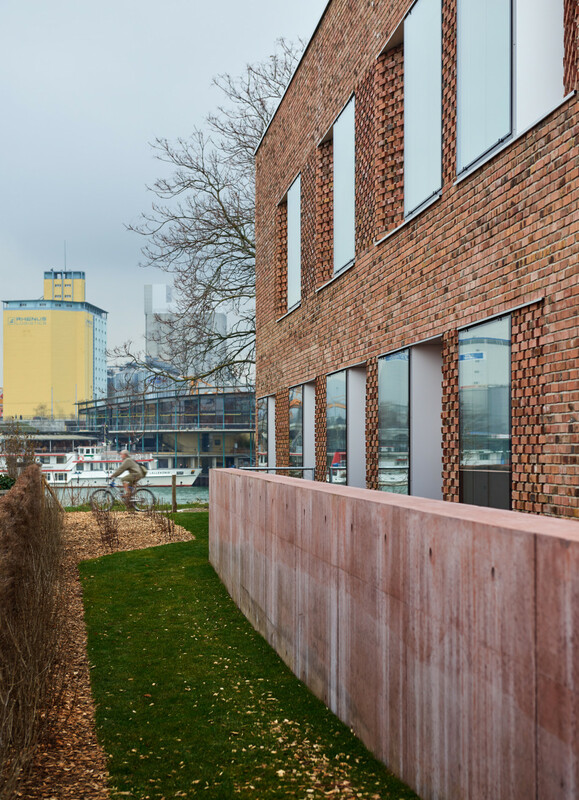 The walls catch the light; by emphasising its rustic port setting, the building connects itself to the history of the Rhine.